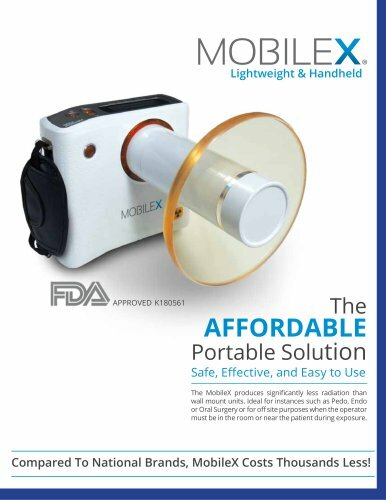 The AFFORDABLE Portable Solution Safe, Effective, and Easy to Use The MobileX produces significantly less radiation than wall mount units. Ideal for instances such as Pedo, Endo or Oral Surgery or for off site purposes when the operator must be in the room or near the patient during exposure. A TRUE Fit for You! A Picture is Worth a Thousand Words? best describes the QuickCam Duo!